First time home buyers are also first-time home insurance buyers; even if you have had renter’s insurance in the past, homeowner’s is a different animal. With everything else you have to take into account during the process of buying your first home, choosing home insurance can fall to the bottom of the list. While many first-time buyers rely on the advice of a mortgage broker to select an insurance company, there is a lot to be said for fitting shopping your insurance around into your schedule. Not only will you get more rate comparisons, you will also have the opportunity to compare coverage and understand how your new policy works. There are several types (known as forms) of home insurance, mainly differing based on the type of home you are buying. A single-family, detached home has a slightly different policy from a condo or townhouse, for example. In most cases, you will not have to worry about this since the insurance company will determine which form is right for the home you are looking to insure. A standard homeowner’s insurance policy for a detached single-family home includes a few basic coverages: these include coverage for the main structure and other structures on the property, coverage for personal property, and liability. The structure coverage is determined by a calculation of the replacement cost value of your house; that means how much it would cost to rebuild your home from the ground up, based on today’s costs. It is not related to the market value of the home since that value includes the land and is affected by many factors. Many insurance companies offer extended replacement cost, usually written as a percentage of the calculated cost, either standard or as an option. Personal property coverage is usually calculated as a percentage of the replacement cost number. This coverage is designed to pay for everything in your home, including all of your furniture, clothing, electronics, and other personal items. This coverage may be on a replacement cost or actual cash value basis depending on the policy. Liability coverage protects you in the event that you are being held responsible for injuries or damages that occur on your property – and in some cases, off your property. Each company has a base amount for this coverage that they quote automatically. Beyond the basics, you may want to add any number of options that are offered by your insurance company. These options differ across companies – some include more in the base policy than others, some make them options in order to customize your policy. Taking the time to understand what your policy covers and what it doesn’t is important in choosing the right coverage for your new home. Many first-time home buyers are not aware of some of the common exclusions and limits. Standard home insurance, for example, does not cover you for floods. If you live in an area that is a high flood risk, you may be required to take out a separate flood insurance policy. Similarly, home insurance does not cover earthquakes. If you live in a place prone to earthquakes, you will want to look into a separate earthquake insurance policy. Another specific to be aware of is the special limits on high-value items. Insurance companies set specific limits on what they will pay out for things like jewelry, electronics, collectibles, musical instruments, art, and other things considered to be high-value items. Homeowners with items valued beyond the specified limit should add on a rider to protect those items. A common item that requires a rider, for example, is a diamond engagement ring. Make sure you calculate all of these needs into the final cost for your homeowner’s insurance policy. Every policy has a list of exclusions; make sure to familiarize yourself with these so you know what is covered. For a lot of first-time home buyers, budget is a major consideration. When considering the best home insurance for first-time home buyers, we made the cost of the coverage a major factor. As always, we look for the best value in terms of coverage and price balance and not just the lowest price. We also looked for companies that offer a good auto-home discount, since it is one of the best ways for new home buyers to save on their overall insurance bills. We also looked for companies that keep their policies simple and straightforward, offering solid, comprehensive coverage as part of the standard package without a lot of nickel-and-diming on options that can drive up the price. As always, we chose companies with an excellent reputation for customer service and claims handling, and offer coverage across the country. All three of these companies make it easy to get your first home covered for a good price. Amica Mutual topped nearly every list JD Power has to offer for customer satisfaction, taking first place in both claims satisfaction and overall household insurance satisfaction for 2017. That makes them a top pick for first-time home buyers who are looking for a company to take care of their biggest investment. Amica also ranks very well in rate tests and has some of the best bundling discounts around, so shop your auto insurance with them as well to save even more. Their standard homeowner’s policy includes extended replacement cost and replacement cost on your personal property as well, so you will be covered properly. Bundling your home and auto insurance with Liberty Mutual provides you with two options, one of which is obvious – buying both from Liberty Mutual. GEICO customers, however, can also qualify for an auto/home discount when buying home insurance through Liberty Mutual, thanks to a partnership. That gives you more choices for combining your policies. Liberty Mutual also ranks high in customer satisfaction and offers a solid, comprehensive home insurance program that even includes first loss forgiveness. 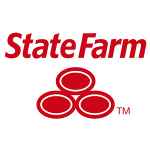 time homebuyers cannot go wrong with the largest home insurer in the country, State Farm. They have excellent products, a solid reputation, and surprisingly good rates. They offer a good auto/home discount as well. State Farm’s captive agent system means they may not be the least expensive, but for a first-time home buyer, having an agent to talk to directly can be a valuable thing. It allows you to ask all of your questions to one person with whom you have a relationship, and make sure you are getting all the coverage you need. As part of the home buying process, your mortgage company will request proof of home insurance – called a binder – because carrying a policy is part of the requirements of your loan. Not only is having insurance required, but the lender may also have specific requirements including a necessary replacement cost coverage amount and possible limits on how high your deductible can be. Those numbers should be your starting point for shopping around, so ask your broker what you need to know. Your broker will probably offer to handle getting quotes for you, and that is a good place to start, but remember that they are going to choose agents with whom they have a relationship and will likely leave several good options off the table, particularly direct-buy companies. Do your own quoting so you compare more options. A good place to start is with the company that insures your car; you already have a relationship with that company and there may well be worthwhile discounts. Since every insurance company will calculate your replacement cost a little differently, it is also a good idea to use a third-party calculator so that you know what the right range should be. Remember that extended replacement cost – often written as a percentage such as 125% – adds to the total coverage available. For example, if the calculated replacement cost is $300,000, and you have 125% coverage, you can add an extra $75,000 for a total of $375,000 in coverage. Deductible options vary; choosing a higher deductible can make your policy a lot more affordable. Homeowner’s deductibles tend to be a bit higher than auto deductibles due to the bigger risk of a high-dollar claim. First-time homebuyers need to take into consideration their budget and ability to handle a larger deductible in the event of a claim. A $2500 deductible may save you a few hundred dollars a year, but can you afford that amount as your portion if you need a new roof? It is important to think your deductible choice through before selecting a number. When shopping, make sure you are comparing all of the basic coverage limits so you will know when you have found a good value and not just a cheap rate. Higher deductibles and lower liability limits are some of the ways an insurance company will make their rates more appealing, but the last thing you want is to be underinsured. Your home is a big purchase, and the first time you go through the process it can be overwhelming. Understanding the basics of home insurance will help you to shop around and find the best deal for you and your new home. While any of our picks above will make the task easy, the best choice for you is always a personal one and based on many factors. Take your time to learn, compare, and make the choice that is right for you.